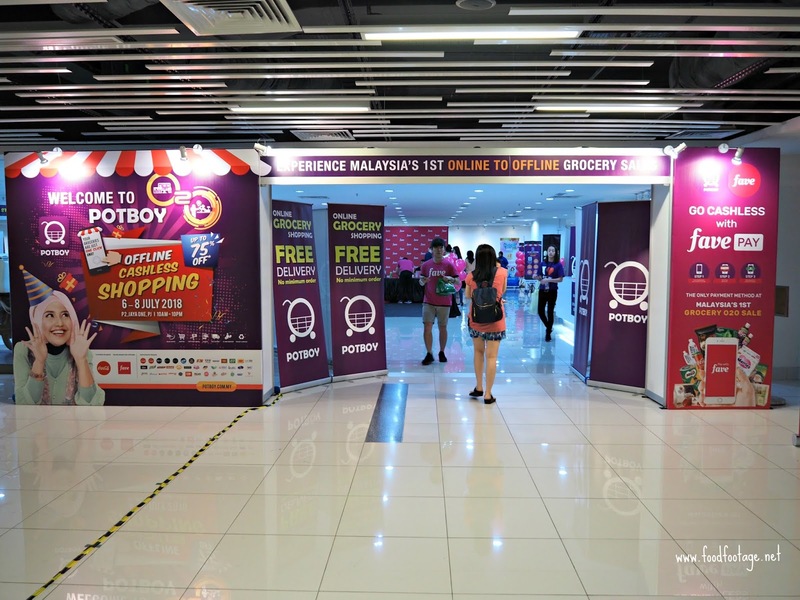 Recently, I’m lucky enough that I have the chance to join the Malaysia’s 1st online-to-offline (O2O) groceries sales event at Jaya One Shopping Mall. 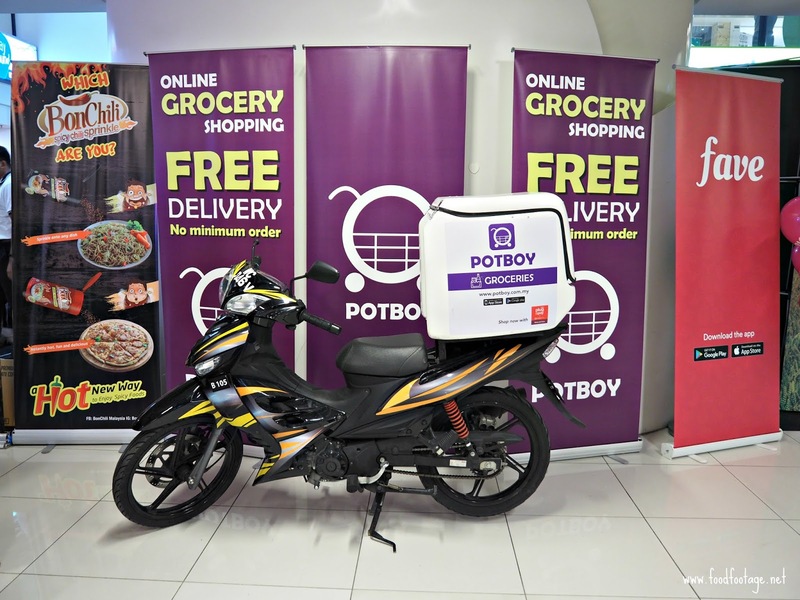 This event is organized by Potboy Groceries partnership with FavePay – a well-known mobile payment platform. 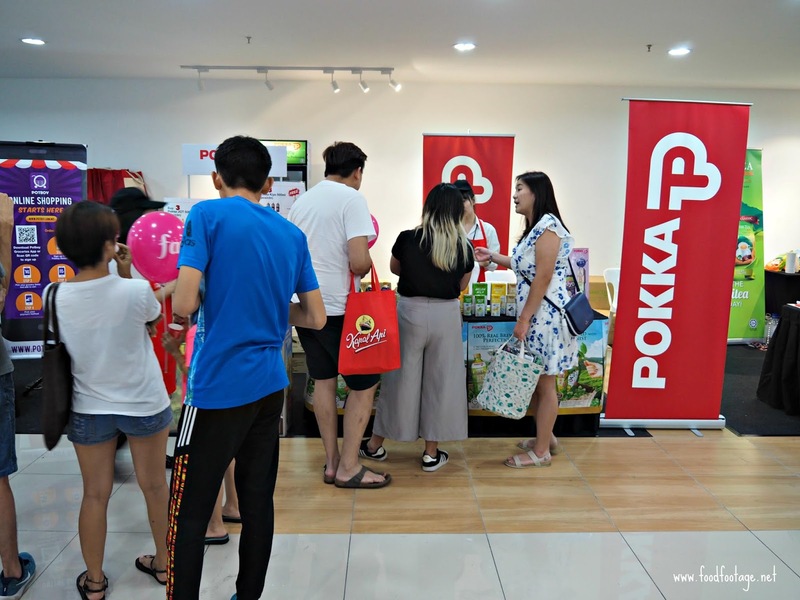 The event was held from 6th to 8th July 2018 at Jaya One Shopping Mall with discount up to 75%. 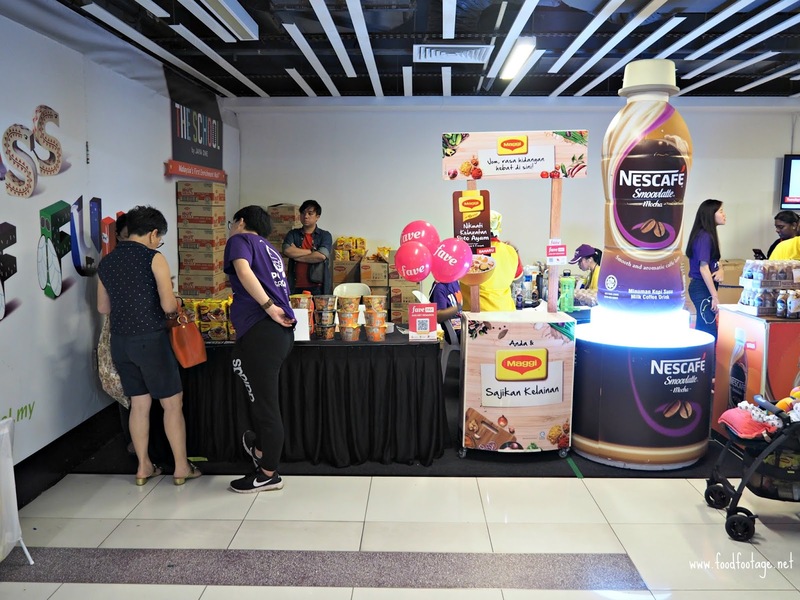 During the event, there are more than 30 consumer product brands participated including Nestle, Coca-Cola, F&N, Maggie, Homesoy, Pokka, and many more. 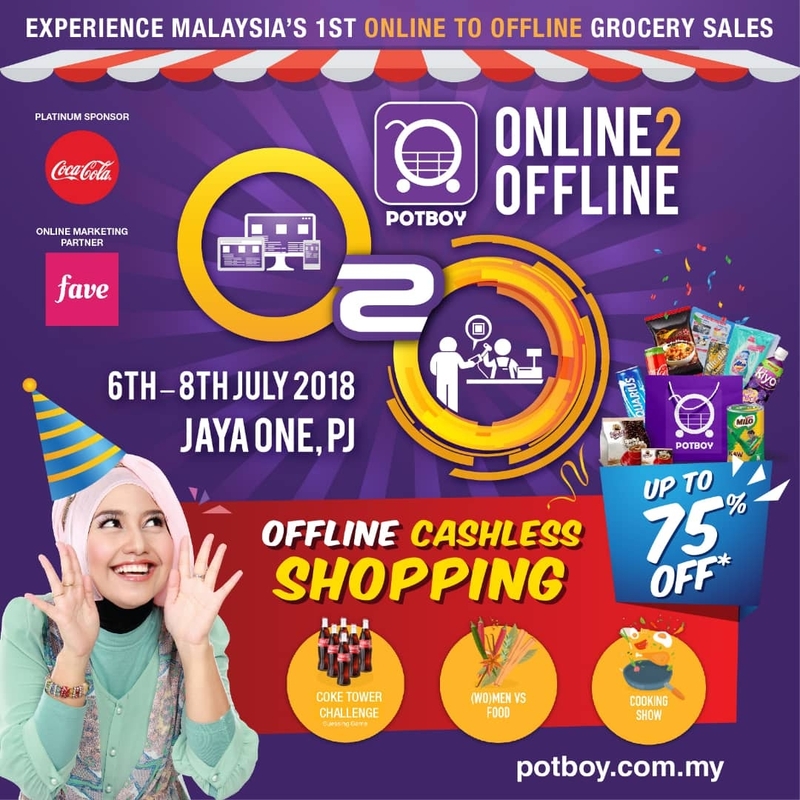 Potboy Groceries is an online grocery shopping platform whereby you can discover variety of products with great discount deal. Sourcing directly from suppliers, their aim is to take care of their customers’ household needs by providing groceries and household essential with FREE Delivery, at Value For Money Prices and without any Minimum Purchase. All you need to do is register yourself as customer on their Website so that you can shop conveniently wherever and whenever you want with just one click away. Furthermore, there are games and many other exciting programs waiting for you!!!! What you waiting for?? Register yourself now and win some cool prizes. 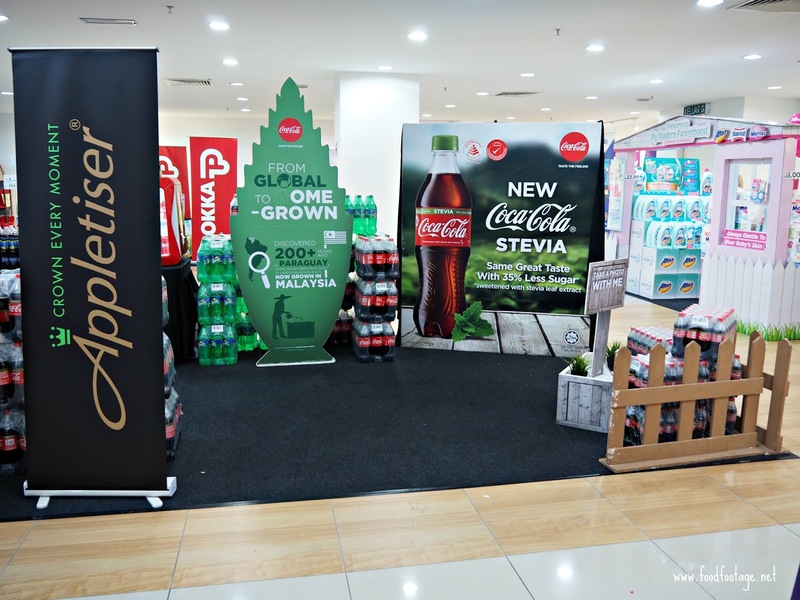 In conjunction with the partnership of FavePay, those shoppers are welcomed to shop their groceries at great discounted price and cashless. Can you imagine how fun it will be shopping without cash?? 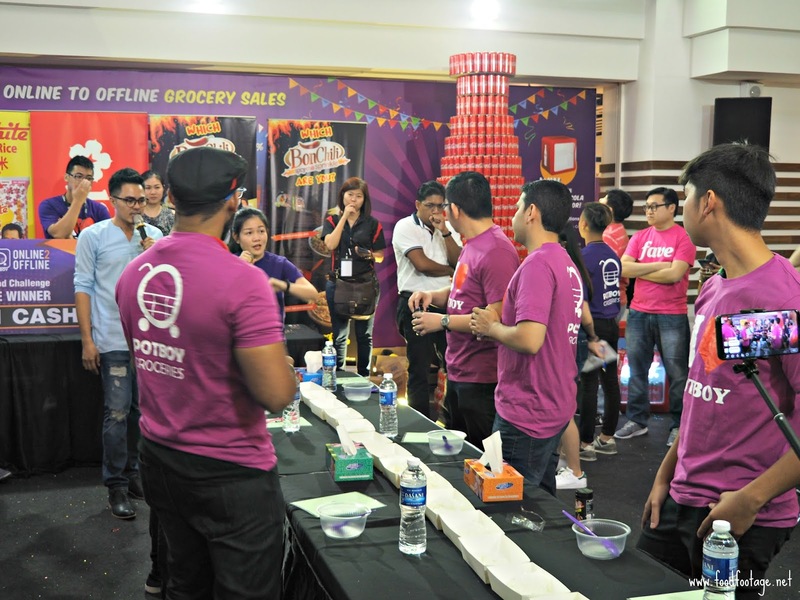 Besides that, this event also served as an education platform for Malaysians to going towards cashless future!!! 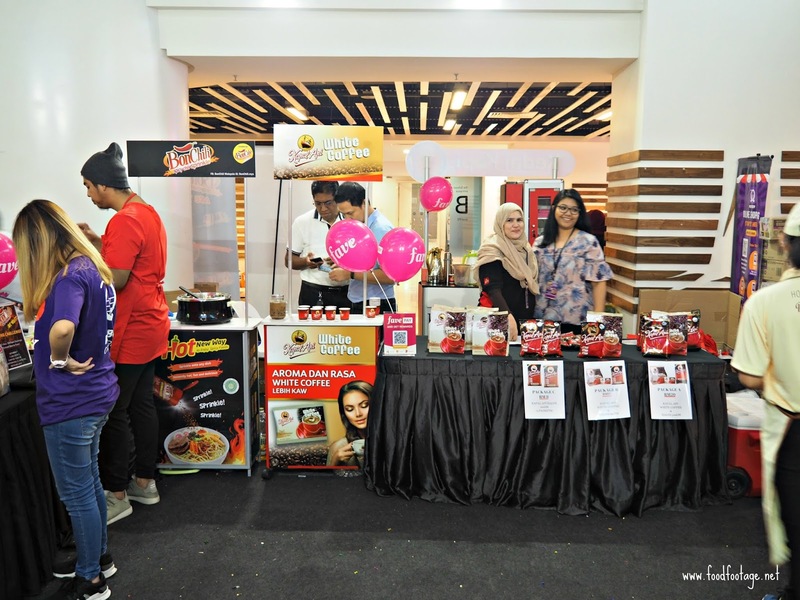 During the event, shoppers are welcomed to register and participate to win RM1,111 Cash in Bon Chili Challenge. 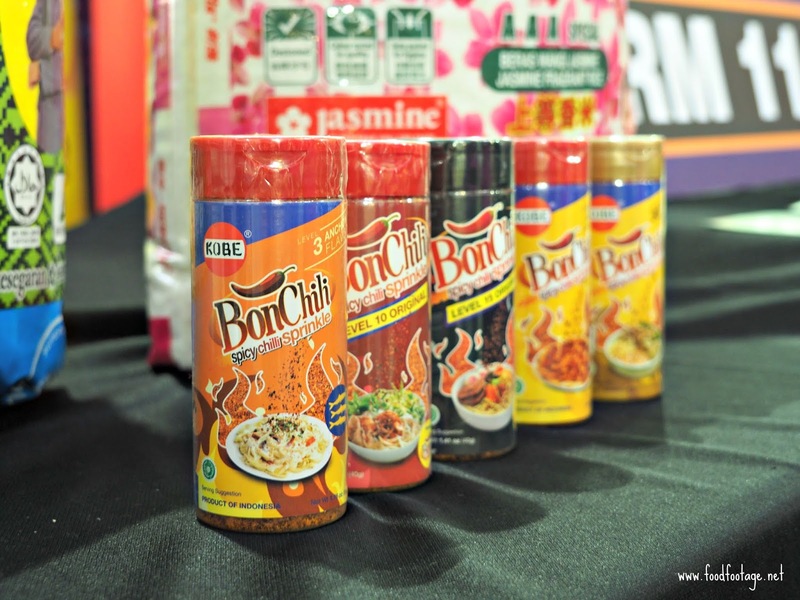 Bon Chili (Chili Flakes) originally is from Indonesia and it’s a Must Have for a person who loves to eat spicy food!! It is very delicious to sprinkle on fried rice, fried chicken, soup, noodles, popcorn, or anything you want!!!! There are few level of spiciness for you to try out – from Level 10 to Level 30. 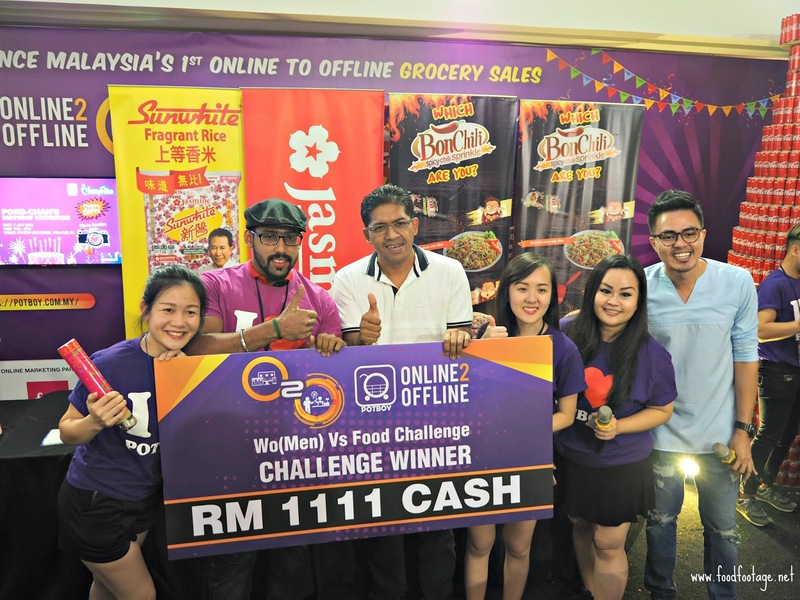 This handsome and brave young man has won RM1,111 Cash in Bon Chili Challenge. 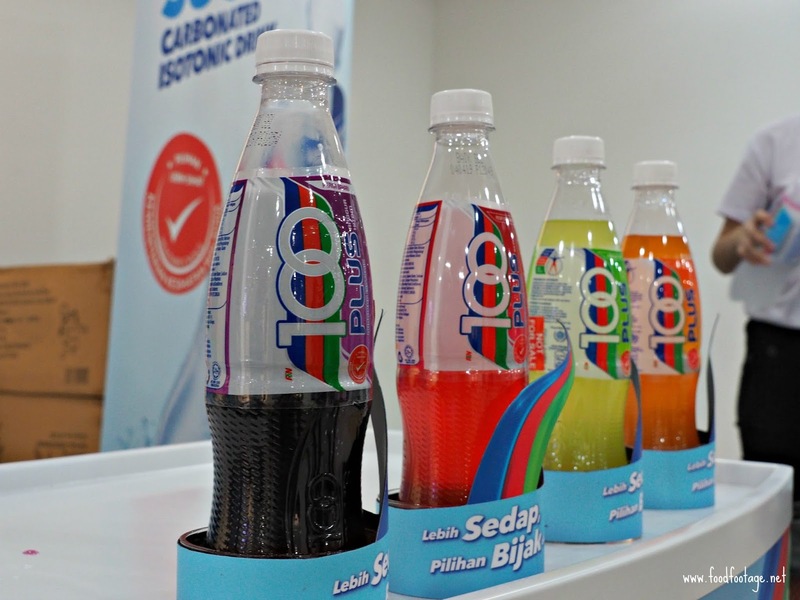 As we know, 100 Plus is the 1st Isotonic beverages to launched in Malaysia and now it has become Malaysians’ Favorite Isotonic Drink among others. 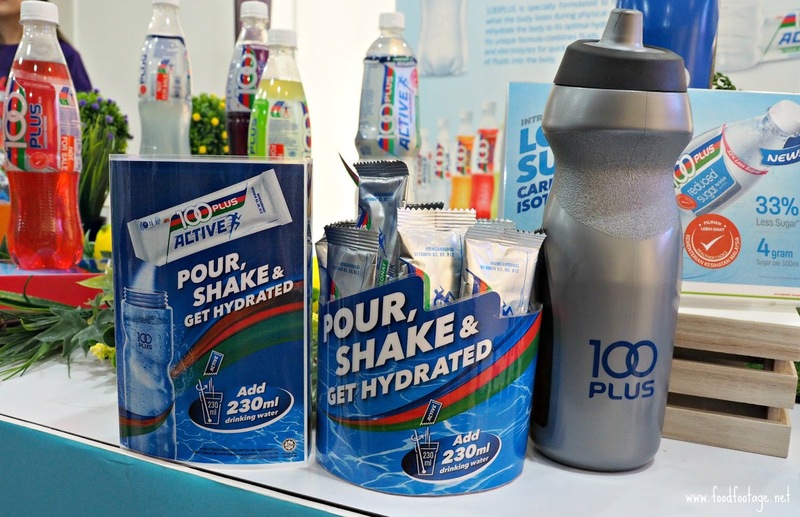 And now, the full range of 100 Plus products contain 6g or Lesser amount of sugar for every 100ml. 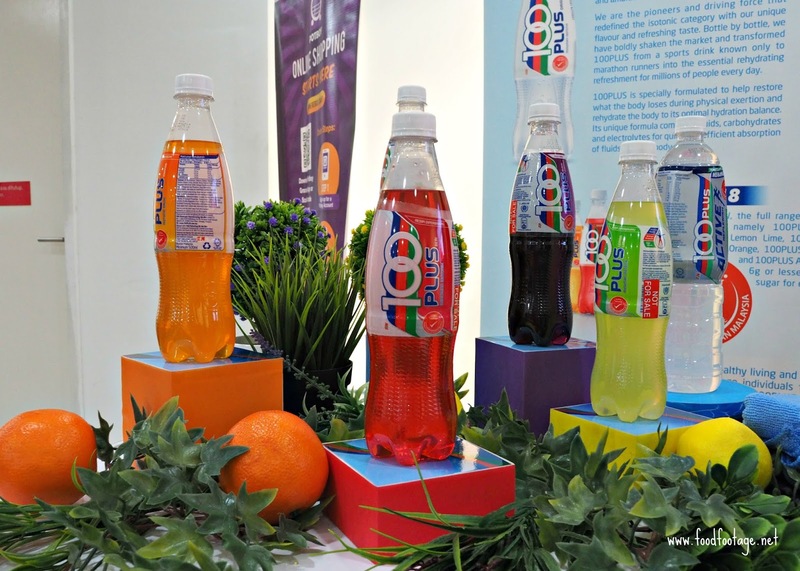 Besides getting healthier and lesser sugar, 100 Plus also introduces new flavor – Black Currant Flavor and 100 Plus Active Sachet. 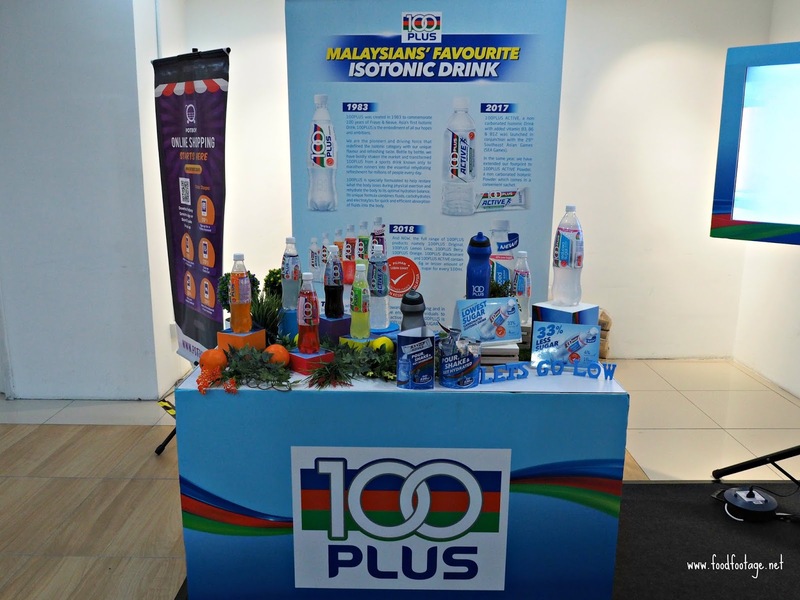 For more information, please visit Website or 100Plus Facebook Malaysia. 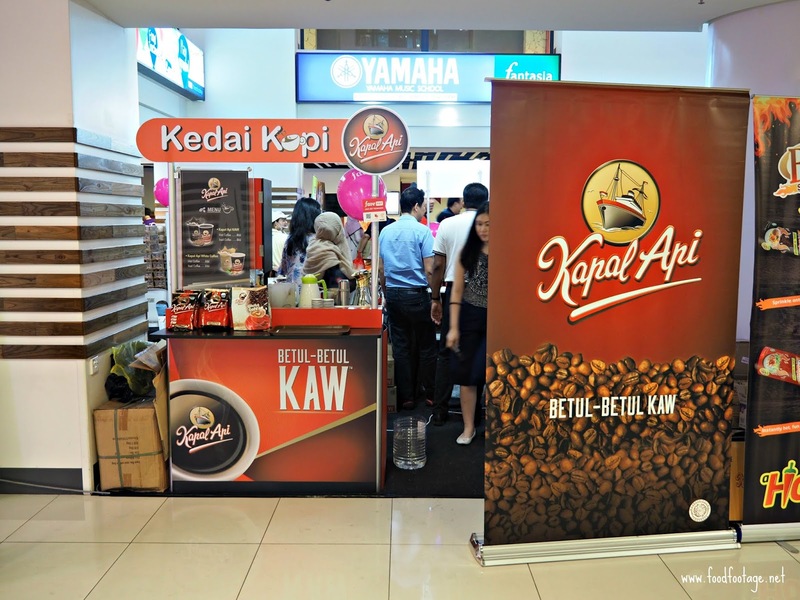 Frankly speaking, if you ask me do I heard of know of this Sabah Tea brand? – my answer would be NO!!! 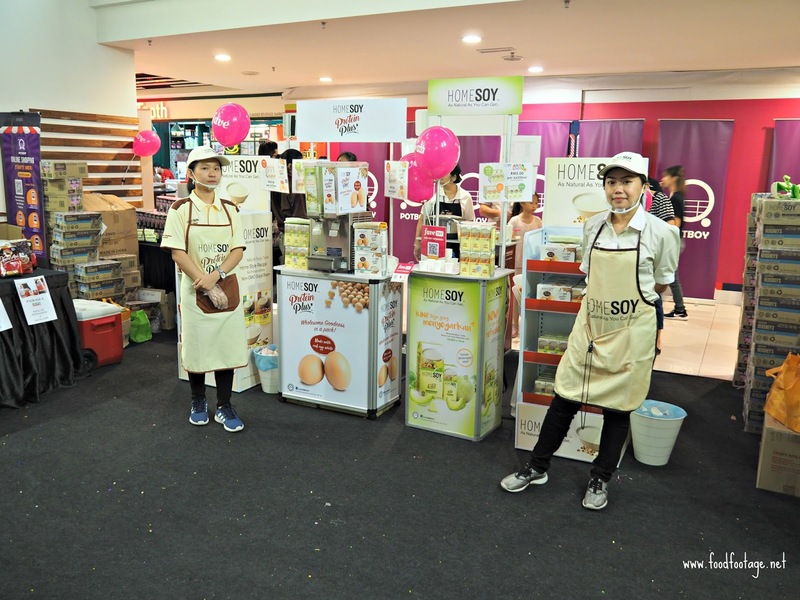 I didn’t get to know this well-known local brand until I visited their booth during the event. 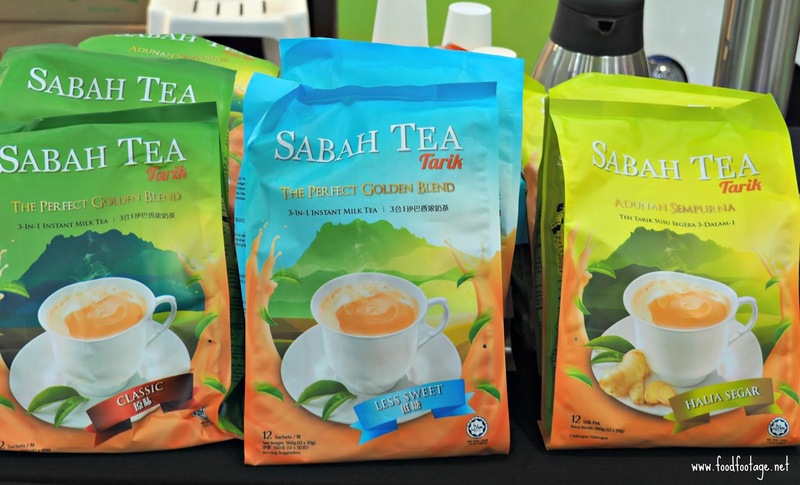 This golden Sabah Tea brew originated from a blend of fine tea leaves from Sabah Tea Garden, located at the mount of Mount Kinabalu. The Sabah Tea is proudly the only organic tea farm in Borneo and one of the very few in the world. 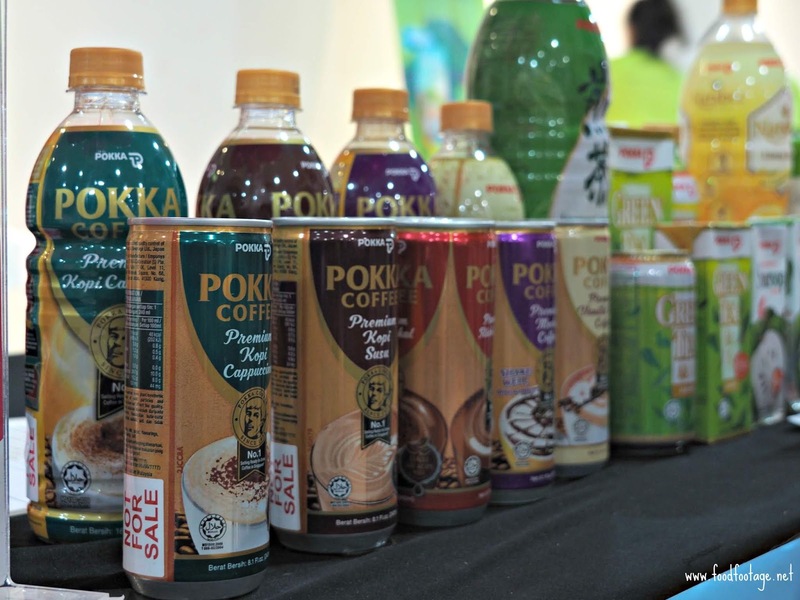 If you’re a tea lover or teh tairk lover, you got to try this out – full of tea aroma and trust me, you will in love with it even you’re not a teh Tarik person like me. “Less Sweet” version of the tarik is available too!!! 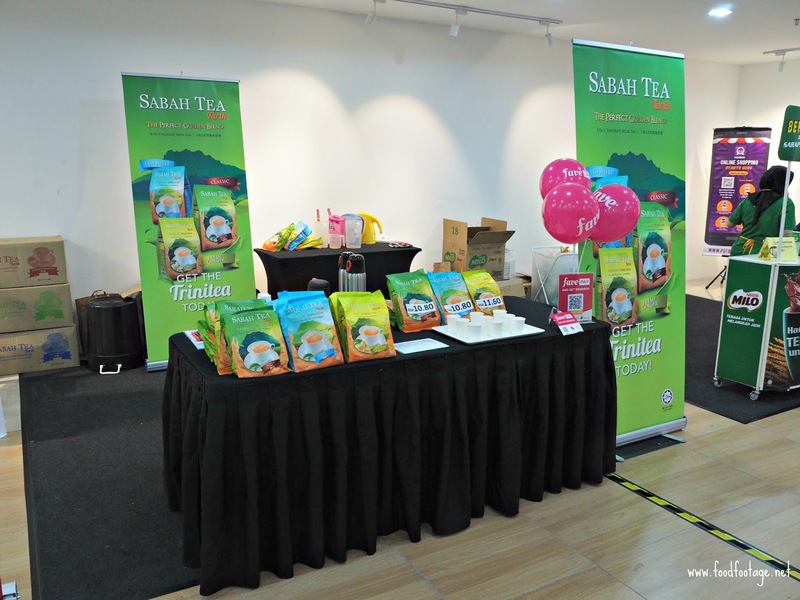 For more information, please visit Website or Sabah Tea Facebook Page. 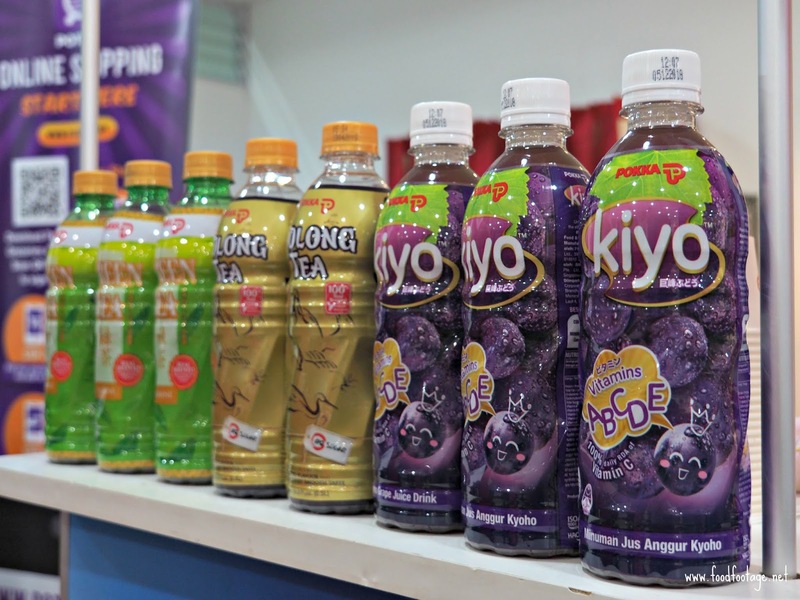 Great news for Pokka fans out there – Pokka Kiyo Kyoho Grape Juice Drink is now available in Malaysia. The Pokka Kiyo Kyoho Grape Juice Drink contains real Kyoho grape juice – premium grape from Japan with sweeter taste and fuller flavor. Besides that, every sip offers you an essential burst of multivitamin health and the most important part is No Preservatives and No Coloring. 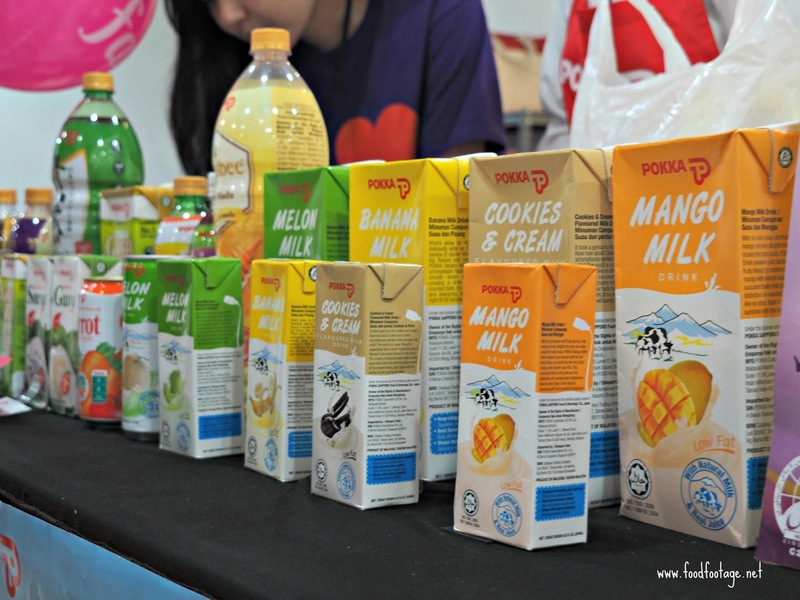 There are wide varieties of drinks available now in Malaysia. For more information, please visit Website or Pokka Facebook Page. 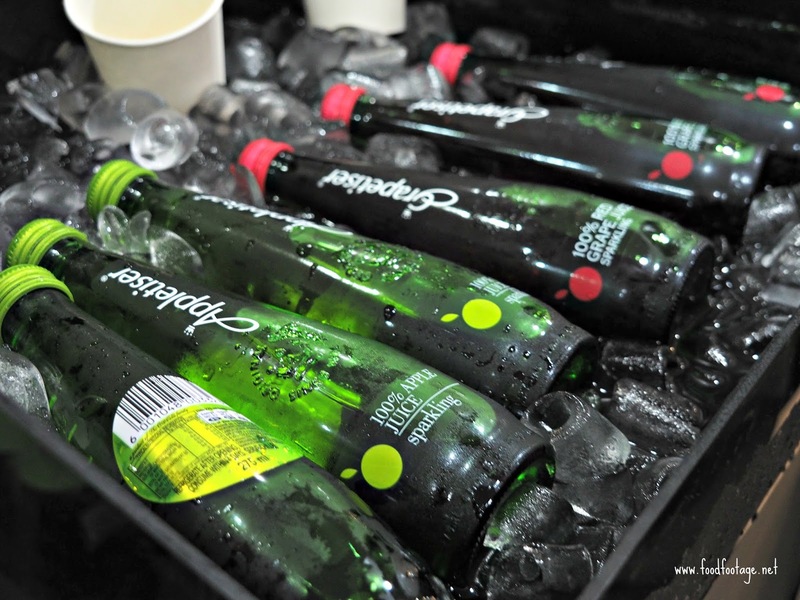 Having difficulty in getting beverages for you friends who can’t take or allergic to alcohol but malt drinks lover? 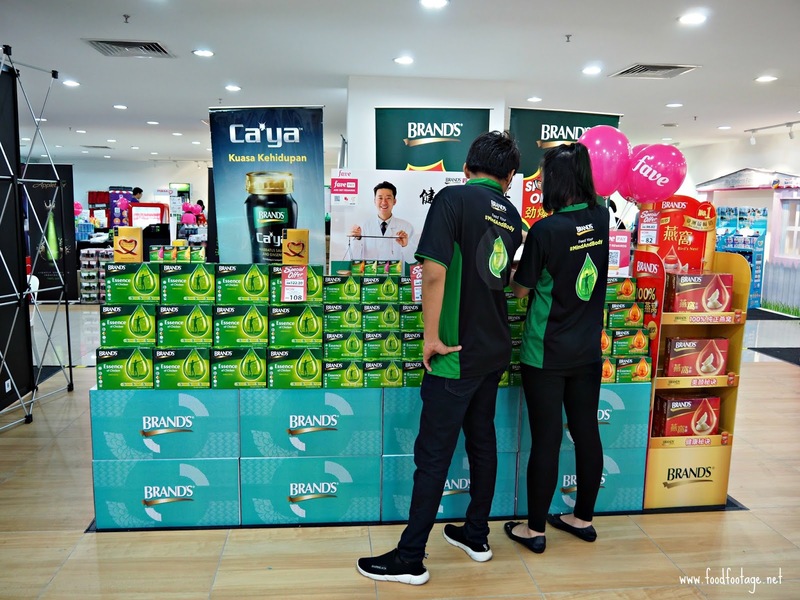 Worry no more, Barbican is now available in Malaysia. 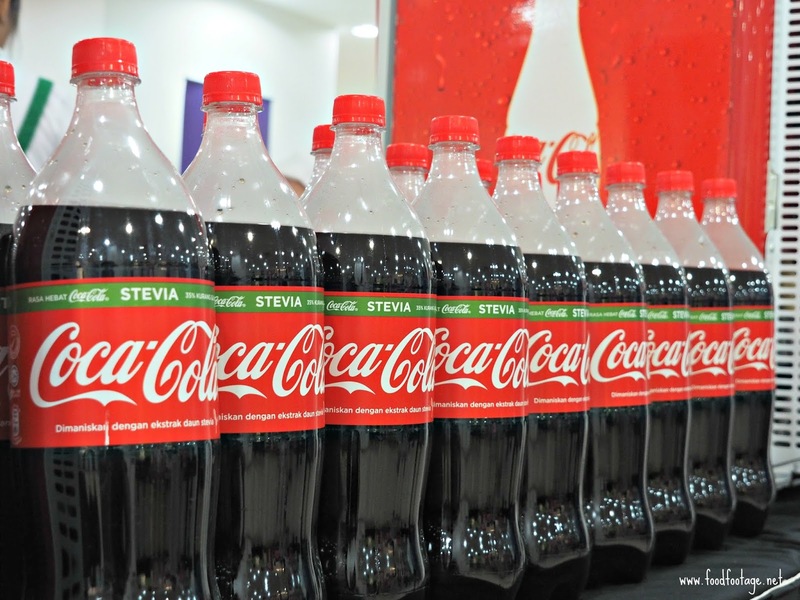 The drink is primarily sold and very popular in the Middle-East and North Africa. 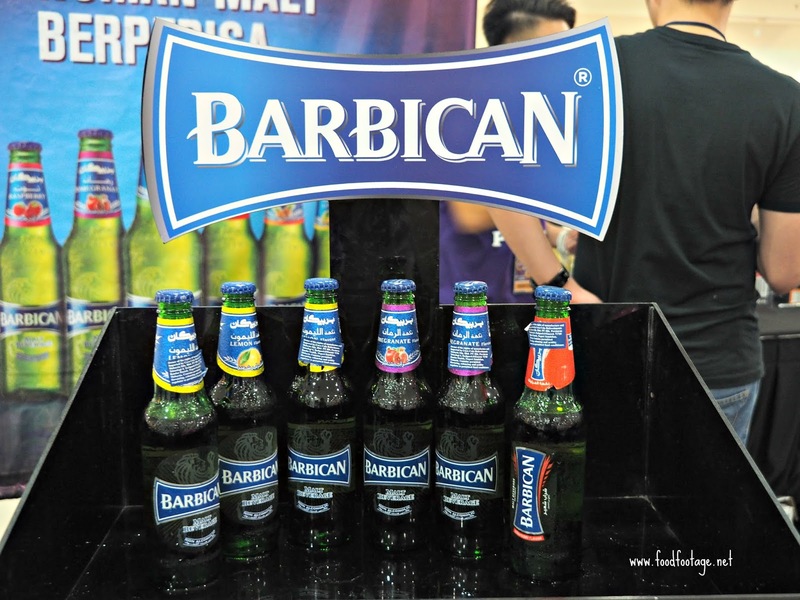 Due to the fruit and malt flavor of Barbican, it is sometimes used in preparation for food, mocktails, dessert and as an accompaniment to cheese and chocolate. It is also suitable to buy as a gift for your Muslim friends during Hari Raya Open House and other occasions. For more information, please visit Barbican Facebook Page. So what you waiting for? Just sign up and start ordering your groceries today!!!! !